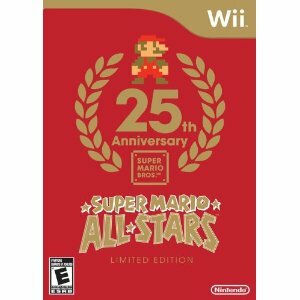 Super Mario All-Stars is being re-released March 13th! Everyone who couldn't find the game the first time are in luck. As we discussed several times on this blog, Nintendo has decided to re-release the game. Amazon and Gamestop have the game available for pre-order with a shipping date of March 13th. The price of the original release is already dropping less than 24 hours after the announcement. Yesterday prices were over $50 and now used copies can be found for around $40. The latest attraction in Video Game Collecting Land is the Stadium Events Merry-Go-Round. Anyone want on? Tickets are just $41,300. 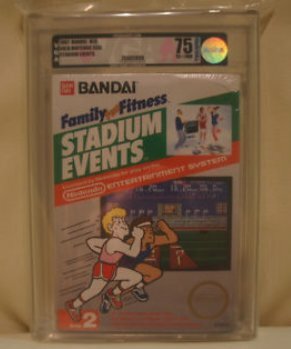 A couple weeks ago an auction for a sealed NTSC Stadium Events ended on eBay with a final price of $22,800. On February 9th a seller lists another sealed NTSC Stadium Events. This time the game is graded by VGGrader, a company who gives ratings on the condition of a game (Coins, comics, and most other rare collectibles have a similar rating service). And the asking price is $41,300 with a ludicrous Buy It Now price of $500,000. Turns out this seller was the person who bought it two weeks ago. If you look at their feedback page the 3rd feedback listed is for buying the Stadium Events game. They wants to make $18,500 by owning the game for two weeks and spending about $100 on the grading service. Not bad work if you can get it. If people continue buying the game only to flip it a few weeks later, eventually somebody is going to get burned and be forced to sell it for a loss. But it will be fun to watch the Merry-Go-Round from the sidelines until it happens. Thanks to an anonymous poster on our site for doing the research into this item and giving us the idea for the article. Whoever you are masked commenter - we thank you. 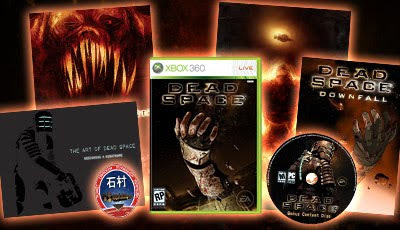 Previously on this blog I had written about Dead Space Ultra Limited Edition being a very expensive collector's item, and the most expensive Xbox 360 game. The game has only become more expensive over the last year and interest has spiked with the recent launch of Dead Space 2 on January 25th, 2011. Dead Space Ultra last sold for $699 in used condition compared to $214 February 2010. With prices like these Dead Space Ultra will give Uncharted 2 Fortune Hunter Edition on PS3 a good run as the most expensive current generation video game.